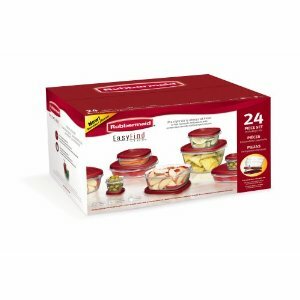 Right now Amazon has this Rubbermaid Easy Find Lid 24-Piece Food Storage Container Set for just $10.00. Their regular price is $19.99. That’s a 50% savings. I love these container. They work out great for saving leftovers and I love the fact that they don’t take up much room in my limited cabinet space.